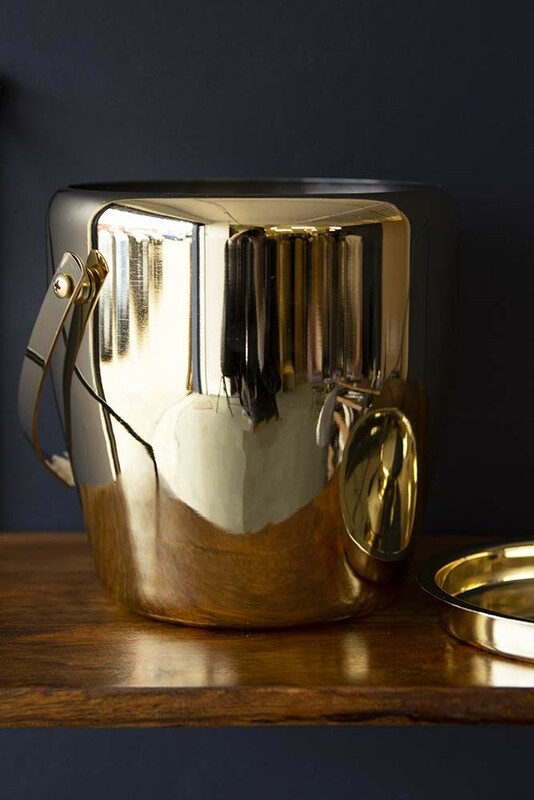 A stylish ice bucket can add glamour and sophistication to your home bar or drinks trolley. 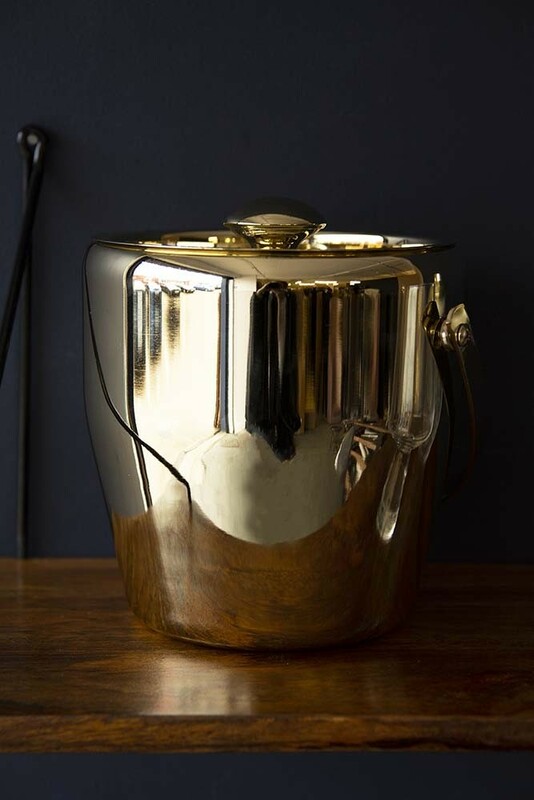 Perfect for entertaining guests, particularly during the festive season there is nothing that we love more than an popping the champagne for a glass… or two… or three… and so beautiful glassware, cocktail making kits and ice buckets are an absolute bar essential! 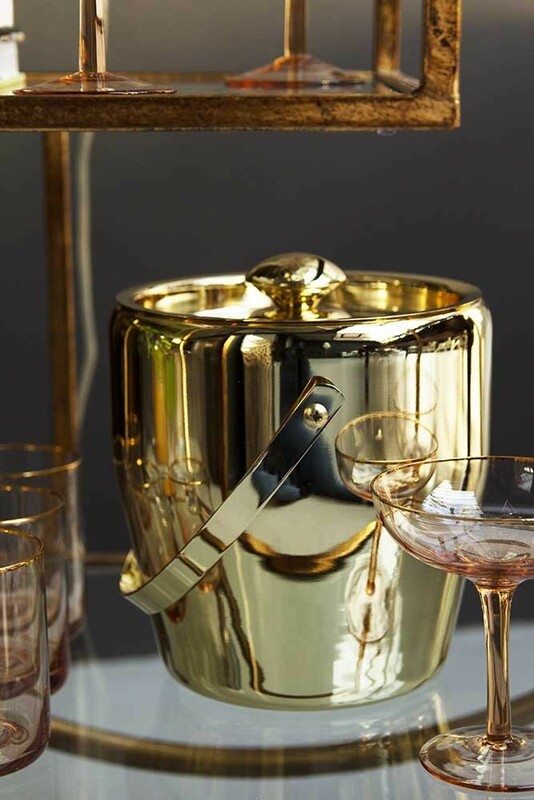 With a glamorous all-gold finish this utterly gorgeous cocktail shaker will look stylish irrespective of whether it’s filled with ice cubes or not! 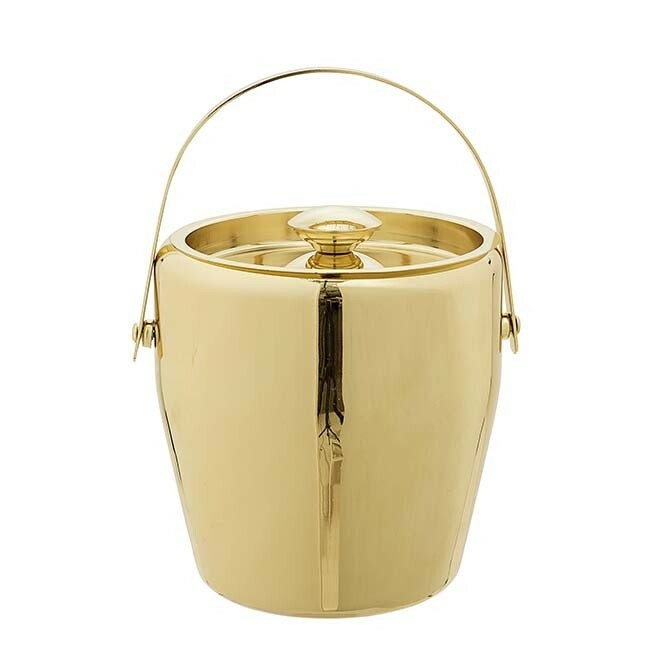 A great gift idea for friends, family or anyone who loves beautiful barware, the Lavish Gold Ice Bucket with a handle for ultra-portability to and from your freezer this is a gorgeous piece for your home.